Looking back at the last few months and the current status of Trakt TV I'm thinking of removing this option. I am looking for alternatives. Does anyone know a good alternative? themoviedb.org has series now and with an account you can mark movies/episodes as watched. Any comments? The next option I find myself very handy. 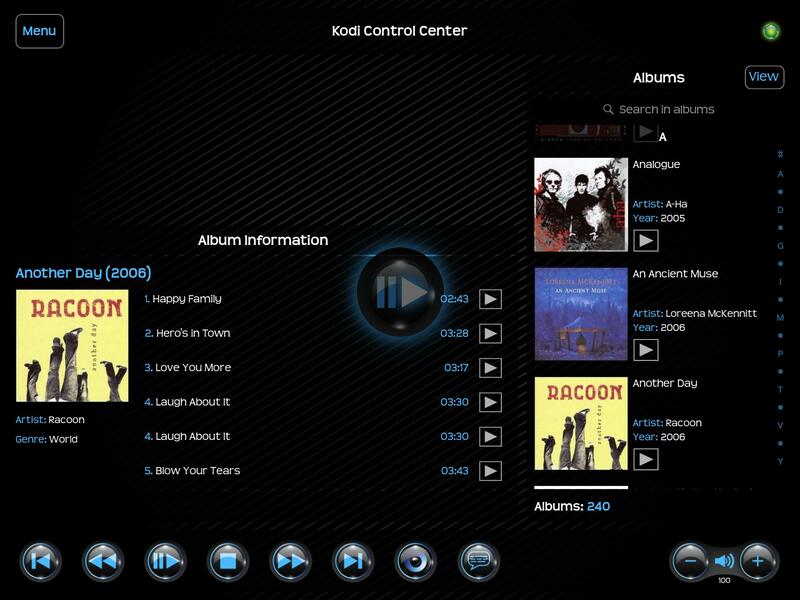 The files option let's you connect to the Video and Music sources you have defined within KODI/XBMC and go through them like you're browsing in a folder structure. When pressing the play button the item will be played. I have created a facebook page for this app. Of course you will find the progress and news about this app here. 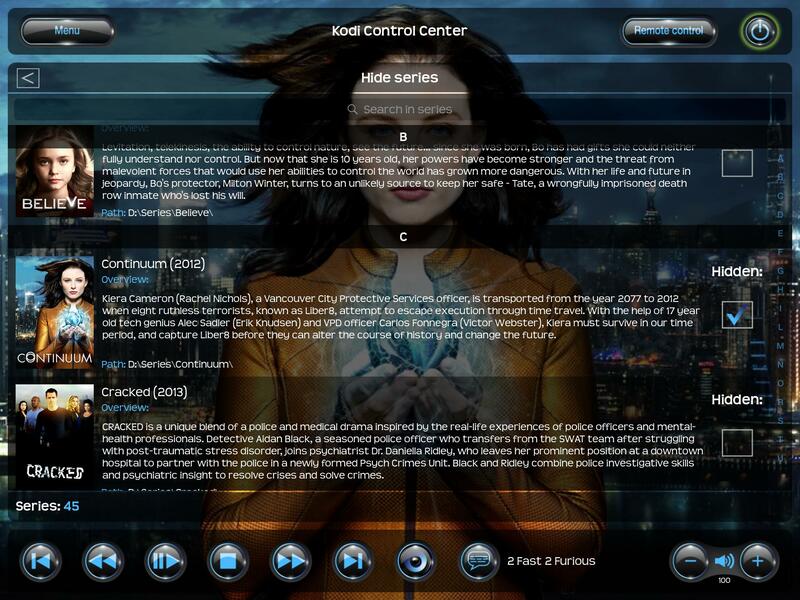 If you like the app go to https://www.facebook.com/kodicontrolcenter and like the page. I have replaced the default menu button with a 3D-like button and I have added two more buttons. One to immediately access the remote control and the other will bring up the power menu. 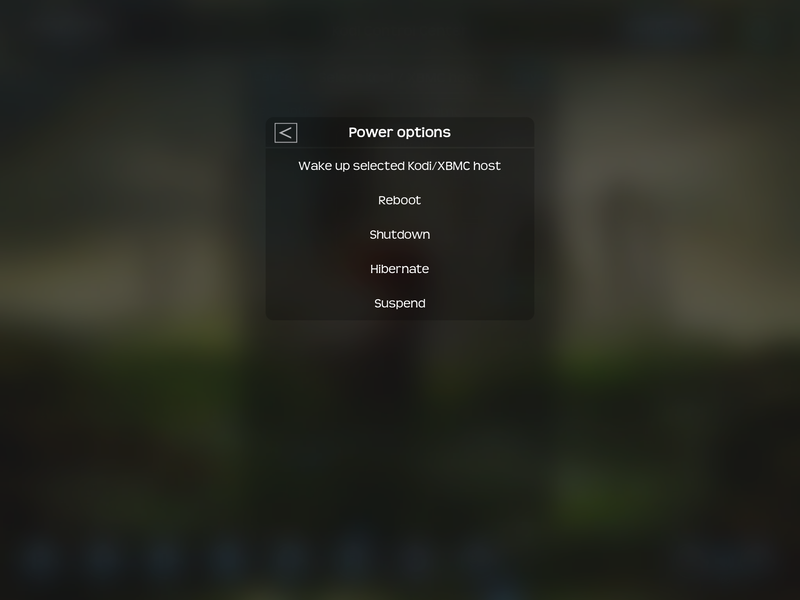 The power button will glow green when the XBMC/Kodi host is available and otherwise will glow red. 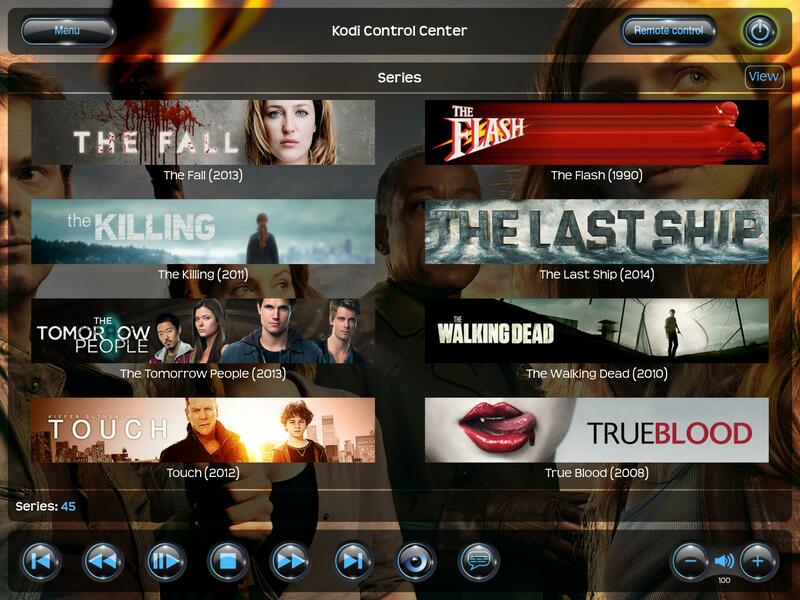 The Trakt TV support has been removed and the episodes option has been added. The power menu is now added. I have also added the Wake On Lan possiblilty. The mac address can be added to the hosts settings. 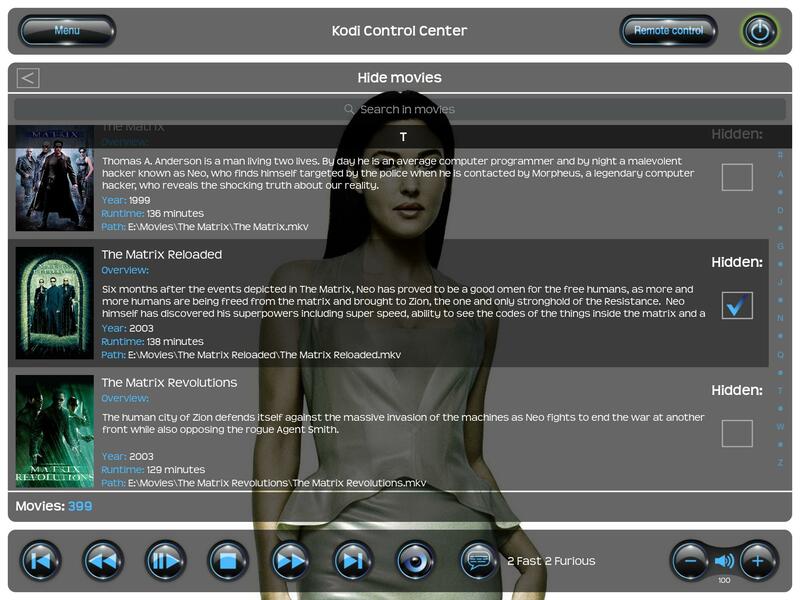 From the maintenance menu you can scan for new video sources, new audio sources and give commands to clean up your libraries. 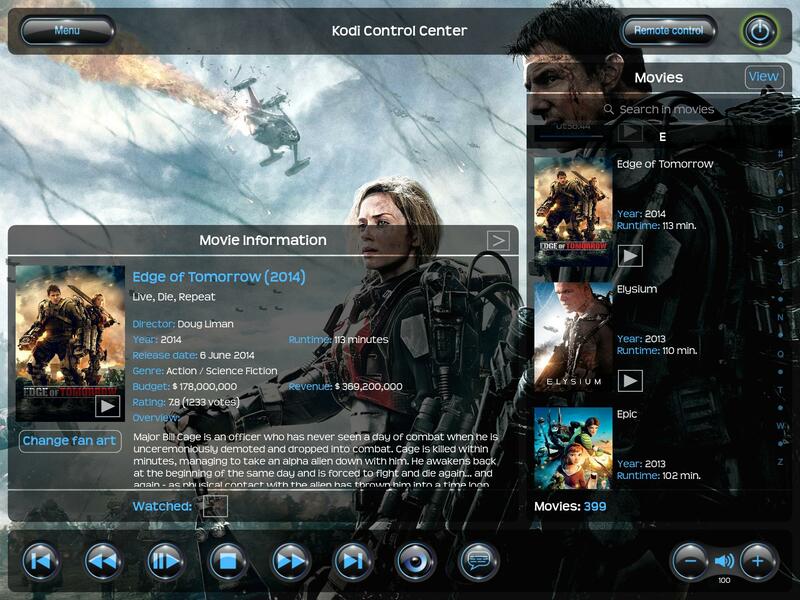 Is anyone using the Live TV option in Kodi/XBMC? I am still doubting to add this functionality. 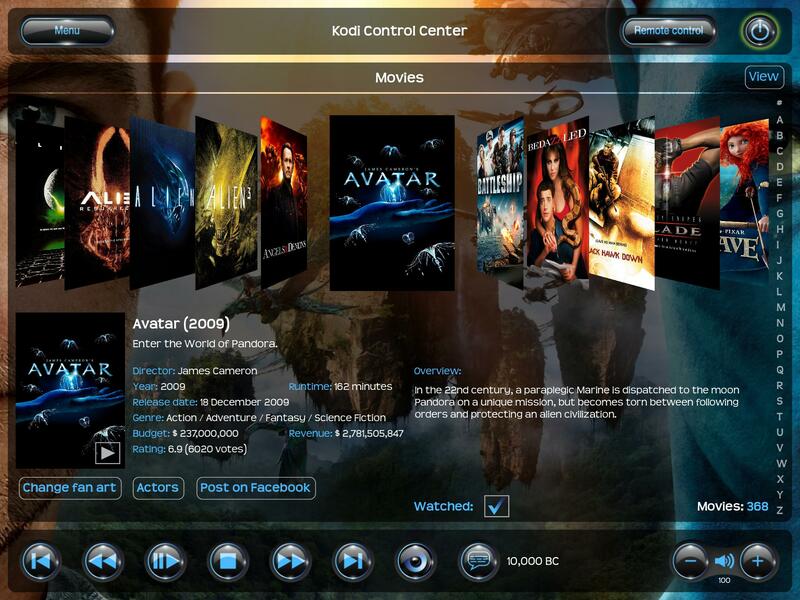 Personally I do not use Kodi/XBMC to watch TV. 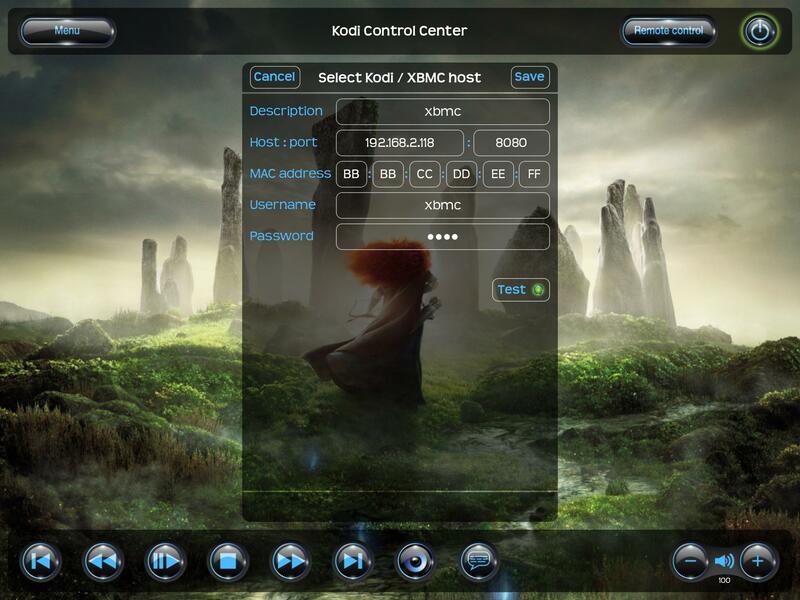 My TV has a satellite receiver, so why connect it first to Kodi/XBMC? Any thoughts about this subject?